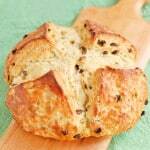 Today, in honor of St. Patrick’s Day, the #Breadbakers are baking “Irish Breads”. 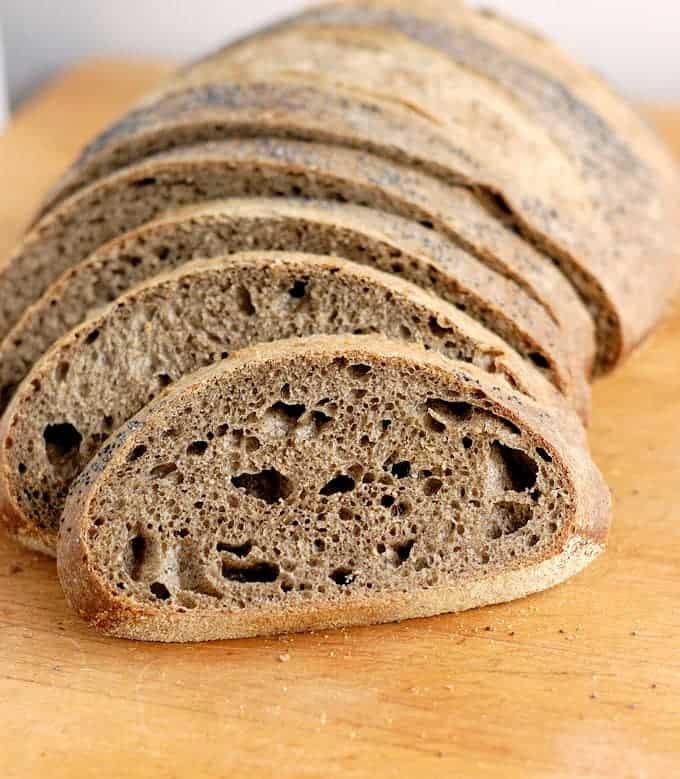 I created this Guinness Buckwheat Bread with an entire bottle of Guinness Stout in the dough. 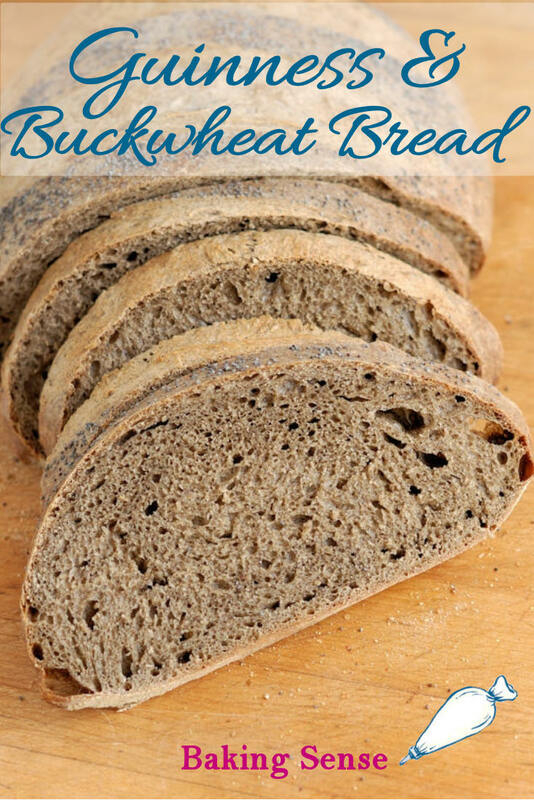 The stout flavors and aerates the bread and the buckwheat flour lends great flavor and color to the loaf. 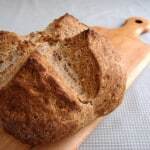 When I saw the theme for this month’s #Breadbakers event of course I thought about doing a version of Ireland’s best known bread, soda bread. 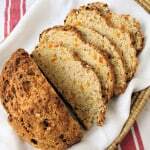 But I’ve already posted recipes for 3 types of soda bread; Raisin Soda Bread, Irish Brown Bread and Oatmeal Soda Bread with Apricots. Please check them out. They’re really great recipes and I make them every year. Don’t get me wrong, there’s nothing I’d rather have with my corned beef & cabbage than a slice of Brown Bread with mustard. I just happened to be in the mood to make a yeast bread for today’s event. Because I was very busy testing St. Patrick’s day recipes I had a six pack of Guinness in the refrigerator. 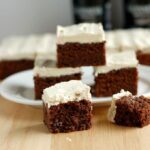 I’d already used a few bottles making Guinness Chocolate Fudge Cake and Triple Guinness Bundt Cake. 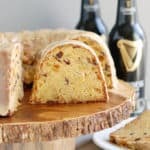 Putting a bottle of Guinness into the dough makes perfect sense for a so-called “Irish Bread”. I love breads made with beer. Beer & bread are natural partners. They’re both, essentially, a grain base mixed with yeast which is left to ferment until CO2 bubbles are formed. The bubbles give beer their carbonation and cause bread to rise. 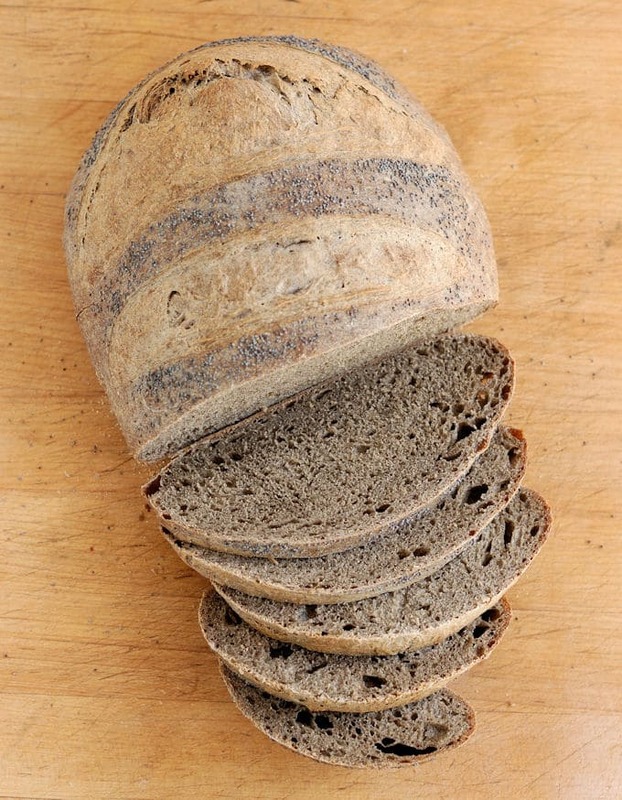 As for the “Buckwheat” part of this bread, well, I’d just bought a bag of buckwheat flour specifically to do some recipe testing. This was the perfect opportunity to play around with the buckwheat flour. I figured the buckwheat flavor would compliment the dark stout, which it does. By the way, buckwheat isn’t a wheat at all, it’s the seed of a plant which is related to rhubarb and sorrel. You can read all about it on Wikipedia if you’re interested. I love the deep color and flavor of this bread. 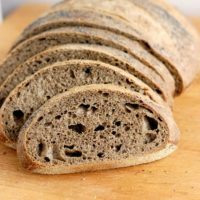 The sourdough starter, Guinness and buckwheat come together for a flavorful, chewy and savory loaf. This is a really great sandwich bread and it keeps for days. The sourdough starter gives the bread a nice chewy crumb. 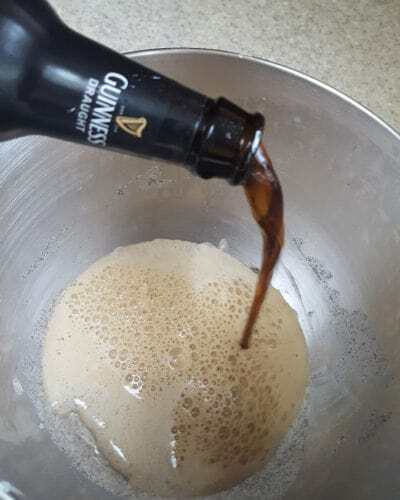 Combine the sourdough starter and Guinness in the mixing bowl. Add the buckwheat flour, salt and honey and mix to combine. 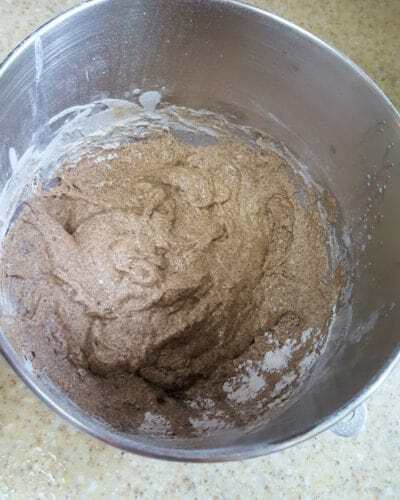 Add 2 1/2 cups of the bread flour and mix to form a thick batter. Cover and let it rest for 20 minutes to absorb the flour and let the gluten develop. Knead until the dough gathers on the hook and pulls away from the sides of the bowl. Use a little more flour if the dough is still very sticky. But this is a fairly soft dough. 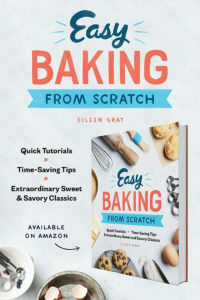 Turn the dough onto a floured surface and knead into a smooth ball. Place the dough into an oiled bowl, turning once to cover the dough. Cover the bowl and set aside in a warm spot for 1 hour. 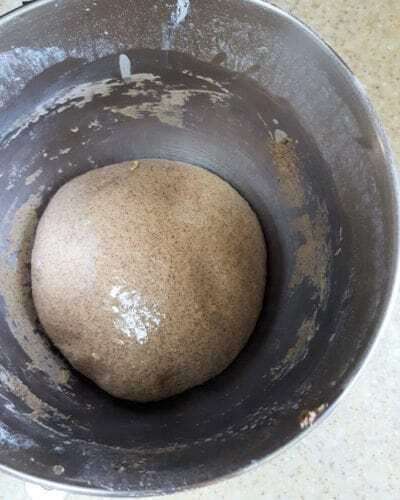 With the dough still in the bowl, fold the top quarter of the dough over onto the middle of the dough. Continue folding the other three sides of the dough. Flip the dough over, cover the bowl and set aside for an 1.5-2 hours. Fold the four sides of the dough again. Flip the dough over, cover the bowl and set in the refrigerator overnight. Remove the bowl from the refrigerator first thing in the morning. Without kneading out all the air, gently fold the dough and shape into 1 large round loaf or two smaller loaves. Place the loaves on a wooden peel dusted with cornmeal or onto a parchment lined sheet pan. Cover with a damp kitchen towel and rise until almost doubled, about 2 hours. Preheat the oven to 400°F, place a baking stone and a small pan with rocks in the oven if you have one. 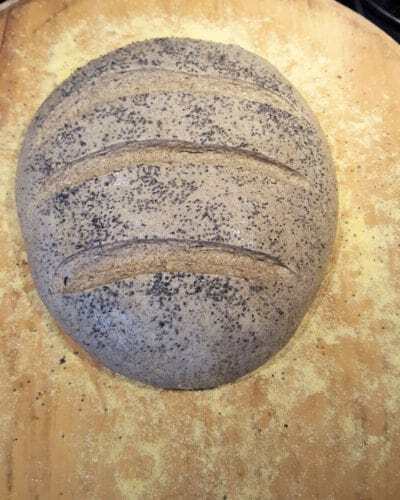 Brush the loaf with water and use a sharp knife or razor to make several slashes across the top of the loaf. Top with seeds if you like. 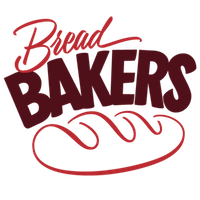 Bake until the middle of the loaf is 190°F or the bread sounds hollow when tapped on the bottom, about 40 minutes for a large loaf. 1. 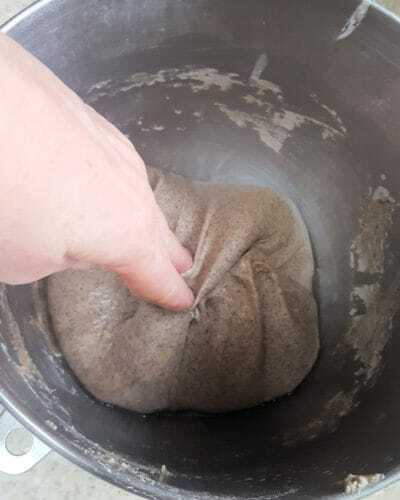 If you don't have a sourdough starter combine 1/4 cup all purpose flour flour, 1/4 cup water, 2 tablespoons buckwheat flour and 2 teaspoon dry yeast. Set aside for 1/2 hour then continue with the recipe. Your rising times will be faster if you use yeast. 2. When my kitchen is very cool I'll place the bowl of bread dough over a bowl of warm water (not touching the water) to help warm up the dough. I just bought a bag of buckwheat too just calling for a recipe! I’ll definitely give this a try. It sounds so flavorful! Is the dough a very wet one? I baked with only part of a bottle of beer and found my dough extremely sticky/wet. 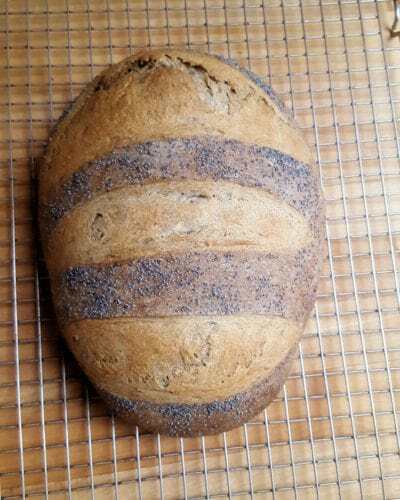 I need to follow your recipe to try these ratios out because your bread is stunning! All of your St. Patrick’s foods sound wonderful. Hi Holly. 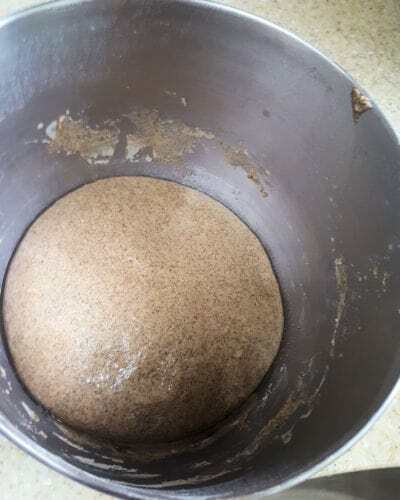 The Guinness is the only liquid in the bread, except for the bit in the sourdough starter. I made this bread 3x and every time it came out great. I looked at that photo and immediately thought of my Pops. He would have loved that loaf of brown bread. That’s nice to hear, Wendy. Can’t wait to break out my starter for this! Oh, good. I hope you like it. Hello Eileen, your bread looks stunning. 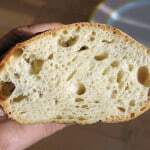 It has a lovely colour and a great crumb. I loved your photography! Thanks, Namita. 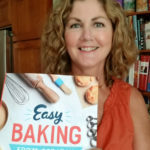 The baking comes easy for me, the photography is a work in progress. Absolutely love the color of the loaf and it looks so airy. A whole bottle of guinness in bread is something my daughter would love. Yes, it is Mireille. It’s a great sandwich bread. 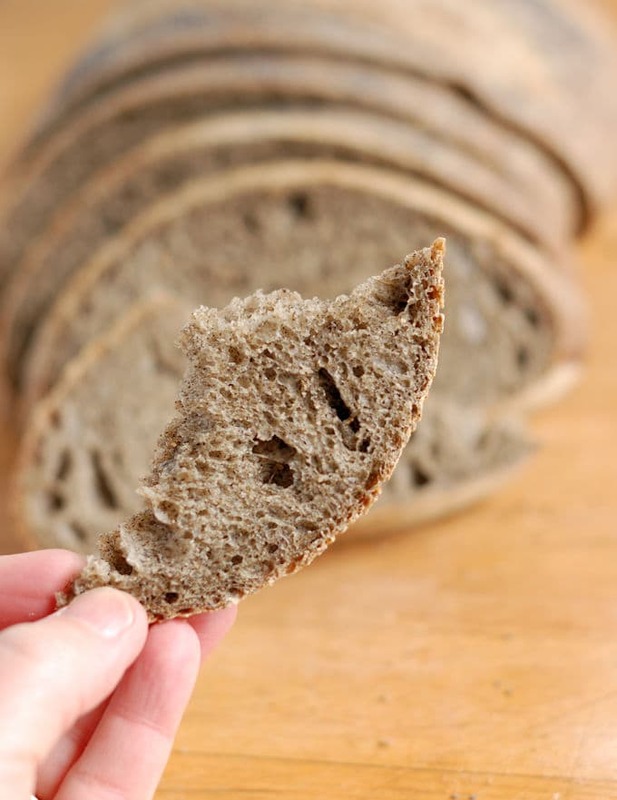 Eileen, bread with beer and buckwheat sounds amazing!! I should try this soon! What a gorgeous loaf of bread. It sounds very flavorful too with the sourdough and Guinness. 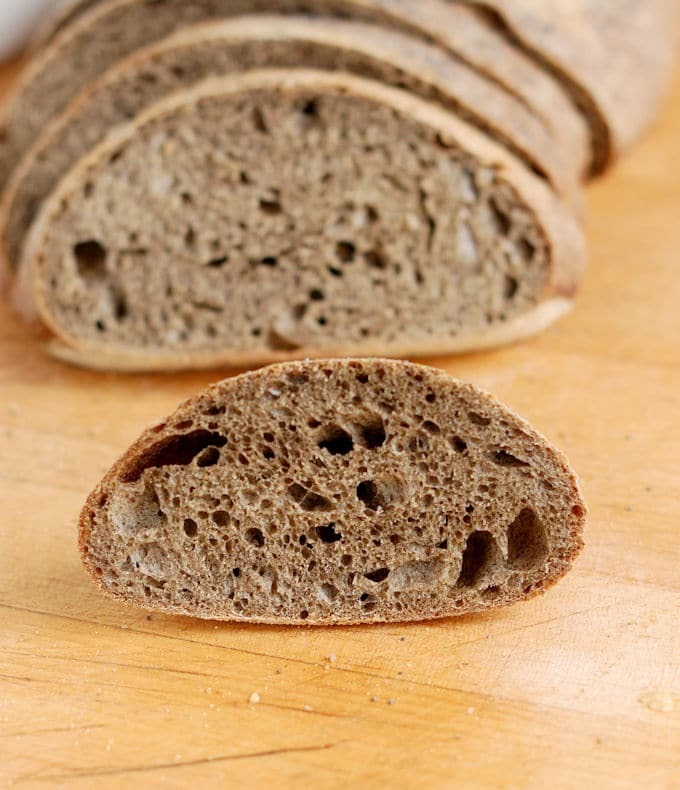 I love a good dark bread like this! YUM!